You’ll learn how to develop and produce content in an industry-standard TV studio and gallery working with the best equipment to produce work in a range of genres such as online video (YouTube, Netflix, Amazon Prime), music video production, entertainment, live events, and documentary. You’ll also develop the skills and abilities required to shoot and record content on location when working with camera, lighting and audio equipment. You’ll study how to edit video and audio together using industry-standard software, including Avid Media Composer and the Adobe Creative Suite, as well as exploring the art of motion graphics, colour correction and soundtrack production. You’ll learn about a broad range of disciplines including areas such as camera and lighting operation and workflow, broadcast regulation, DPP standards, transmission, studio operation and broadcasting live from different locations. 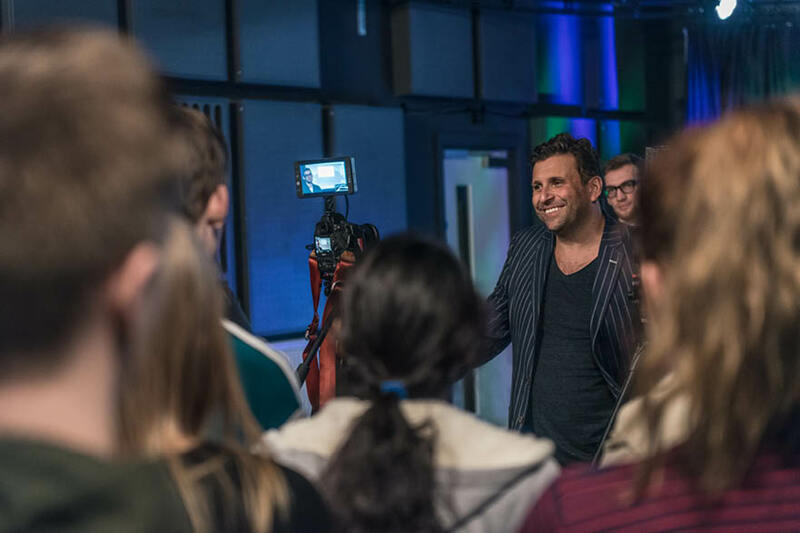 Alongside this, you’ll develop employability skills that will enable you to design and shoot documentaries and TV shows, direct live TV and gain employment within the TV industry. In addition, you’ll complete a self-directed technology investigation on a subject of your own interest. Television is a technologically driven medium with camera operation, audio acquisition and lighting being the three key skill sets required to produce content for this platform. This module will allow you to develop technical skills in all three of these areas. You’ll examine the scientific principles that underpin television production technology whilst demonstrating the ability to use appropriate equipment to produce content for television. You’ll also monitor and evaluate the performance of a range of technologies used within different television production environments. This module focuses on developing the skills required to operate appropriate equipment and produce content for television in a studio environment. You’ll learn the technology, principles and workflow required to operate and maintain a range of equipment in a television studio whilst working to the correct health and safety regulations. You’ll gain valuable knowledge through experiencing a range of production roles within the television studio environment to enhance your understanding of this career path. This module will develop your ability work in small groups to project manage the technical requirements of a television studio production. You’ll be taught how to write and break down a script in terms of its technical requirements whilst also learning about the different stages of project management in the preparation for studio recording including, risk assessment, kit specifications, crewing, budgeting and scheduling. You’ll be expected to show a detailed understanding of the health and safety regulations that govern the television industry and in particular television studio production. Technological changes in television post-production have seen a shift from linear tape based editing to digital non-linear editing, this module will explore the advances in technology responsible for this shift in television post-production workflow. Furthermore you’ll also develop the skills required to operate industry-standard audio and video post-production software used to create, manipulate, and distribute content for television in both offline and online environments. 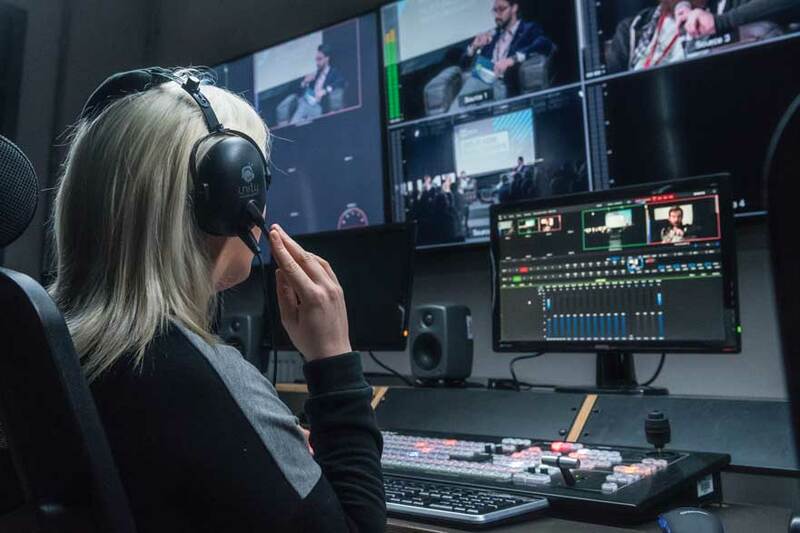 Throughout this module you’ll study the historical development of broadcast technology and assess the impact technological change has had on the industry. You’ll be given the opportunity to compare broadcast technologies past and present, in order to assess the impact technology has had and continues to have on the changes in television production, distribution and access. The technical requirements for producing content for television have become more complex with the advent of digital technology and developments in specialist equipment in the production environment. Within this module you’ll examine the engineering capabilities of specialist equipment used in the television industry and develop skills operating a range of specialist camera equipment in order to shoot more complex sequences. You’ll also explore and learn to perform the role of the digital imaging technician to ensure cameras are able to achieve their optimum performance in a given scenario. The advent of digital technology has witnessed the emergence of multiple viewing platforms for audiences to access a range of content made for television. Content producers have used this to their advantage with the synchronisation of television programmes with second screen content to further enhance the audiences viewing experience. Within this module you’ll learn to prepare and distribute audio-visual content to audiences via multiple platforms adhering to the correct technical requirements. You’ll also need to develop more advanced skills in the areas of post-production such as grading, colour correction, audio dubbing and mixing. You’ll work with an industry partner or client to deliver an edit for multiple platforms working to the correct technical specifications. This module focuses on developing academic research skills which will enable you to plan content for a documentary production. You’ll be expected to research appropriate markets to inform the development and production of your own documentary to be entered into a relevant and well justified documentary festival. Working under the guidance of an industry partner you’ll undertake the pre-production, of your own documentary, ensuring that the correct health and safety regulations are fully considered. You’ll be expected to make appropriate judgments in the planning of your production and demonstrate the ability to problem solve. During this module you’ll be expected to apply the skills of both the journalist and the filmmaker in the production of your own documentary for television. You’ll need to adhere to the legal, ethical and regulatory frameworks that govern this area of television production whilst working with appropriate technologies to produce a documentary that meets broadcast standards and adheres to the codes and conventions of the genre. You’ll need to select appropriate technologies to use during the filming of the content for your documentary. During this module you’ll undertake appropriate self-directed projects, working collaboratively on creative work, allowing you to directly apply the knowledge and skills learnt throughout the programme in the context of the workplace. This module aims to develop your overall professionalism and provide you with the knowledge and resources to begin a career in the creative industries. The nature of creative industries is increasingly defined by freelance and self-employed models of work. Consequently, individuals seeking work in industry need to appreciate the pressures of working on multiple projects to strict deadlines and the subsequent demands this place on time and resources. Similarly, an understanding of professional practice and the legal and economic imperatives in industry is important, as is effective communication, self-efficacy and autonomy. This module aims to develop these skills and knowledge by challenging you to develop a range of self-directed projects. This module focuses on the advanced technical knowledge required to operate television studio technologies in order to produce broadcast content for television. Working in a professional broadcast television studio you’ll apply the technology, principles and workflow required to operate and maintain a range of equipment in a television studio whilst working to the correct health and safety regulations. You’ll need to demonstrate the ability to work proficiently in a specific role and be able to work as part of a production team to produce appropriate content for broadcast. This module introduces you to the broadcast systems that deliver programme content on location utilising outside broadcast technologies. This includes providing, operating and maintaining all the technical systems used on an outside broadcast, such as power systems, communications, satellite links and radio cameras. You’ll be taught about the different aspects of this complex technical live production environment and be given the opportunity to experience and work on outside broadcasts. This is a unique opportunity for you to gain the professional skills, knowledge and experience necessary to gain employment in an ever-expanding industry, where understanding of the latest developments in technology and delivery platforms is paramount. This module introduces you to the broadcast technology workflows concerning global content creation and data exchange in relation the television industry. With the ever-increasing need to exchange vast amounts of content within and across boundaries there is the increasing emphasis on a set of common standards and specifications to ensure compatibility between broadcasters and independent producers. The module will teach you how to work with different types of data and deliver content to the correct technical specifications using industry-standard practice and processes. You’ll also be introduced to the concepts of a global production and post-production marketplace made possible by internet-led tools and services that is transforming the content creation process which in turn is creating new relationships between customers and suppliers. This module provides you with the opportunity to undertake sustained investigation into a specific area of creative technology that builds on your previous knowledge, experience and skills acquired during levels 4 and 5. This module will allow you to explore critically a specific issue or area of personal interest within your chosen field allowing you to explore individual lines of enquiry connected to your career goals. You’ll achieve this by undertaking a self-initiated practical research project supported by tutor supervision. As part of this investigation you’ll also enhance your abilities to communicate your findings with an audience and consolidate your skills in project management and self directed work, both of which are vital for a career within the creative media industries. The module serves to acquaint you with the key skills and practices required to undertake and complete independent project research and to create practical creative media technology products as a response. Learn and develop your skills required to work across a variety of technical roles in the TV industry. Teaching and learning experiences will include lectures, seminars, group tutorials, academic tutorials, workshops, presentations and pitches, visiting industry professionals, team working and independent study. 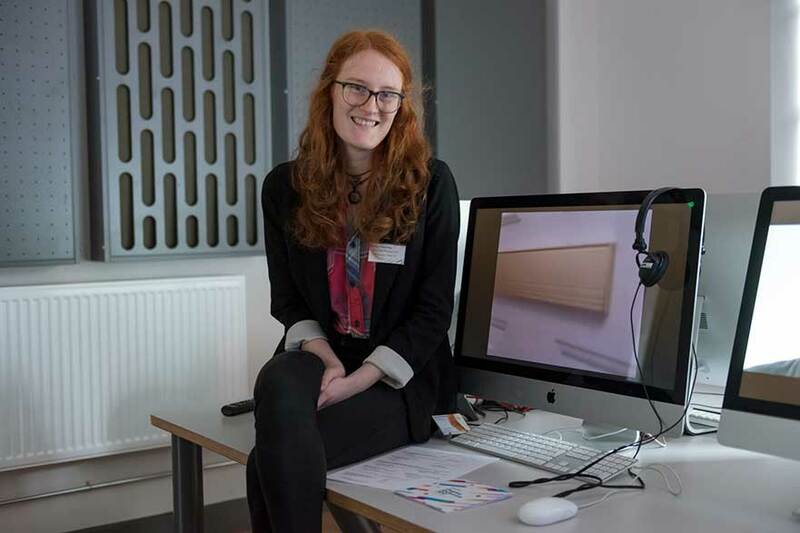 In your final year you will exhibit your work as part of Confetti's Degree Show. This event includes all final year students across Confetti's courses and is a great platform for you to showcase your work to key influencers across the creative industries. As well as lectures and seminars, you'll also gain hands on experience through workshops and hearing from industry professionals. Upon successful completion, you’ll have the option to progress to Confetti’s MA Creative Technologies or MSc Creative Technologies, apply for internships or job roles within industry. You will also be able to run live productions from out in the field, and have an understanding of broadcast regulations and how to apply these to productions. Previous graduates now work in companies, such as ITV, Sky Sports and The Football Association. This course is taught at Confetti Institute of Creative Technologies in their dedicated film and TV facilities - Space2. GCSE – English and Maths Grade C / 4. This course is not suitable for tier 4 visa applicants. For a list of our language, requirements please visit our English language page. Selection for this course takes place through UCAS application form. This course starts in September and applications should be submitted by the UCAS deadline, 15 January. Your personal statement is a really important part of your application. It's your chance to convince us why we should offer you a place! You've got 4,000 characters to impress us. Make sure you use them to show how your skills and qualities are relevant to the course(s) you're applying for. For more hints and tips, take a look at our page on how to write a good personal statement.